In the past 125 years, a number of pedestrian-only bridges have connected the east and west sides of campus over Hess Creek. Currently, two are in service: the Wheeler Sports Center bridge (built in 1977) to the north, and the new bridge (opened in 2015) to the south. 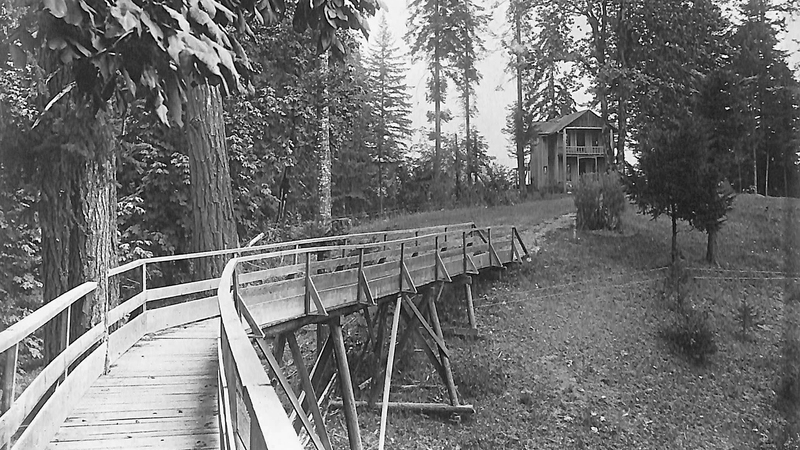 The bridge across the canyon to the Hartley home. Bruin Jr. was kept under this bridge in a pit in the canyon (circa 1885-1891). 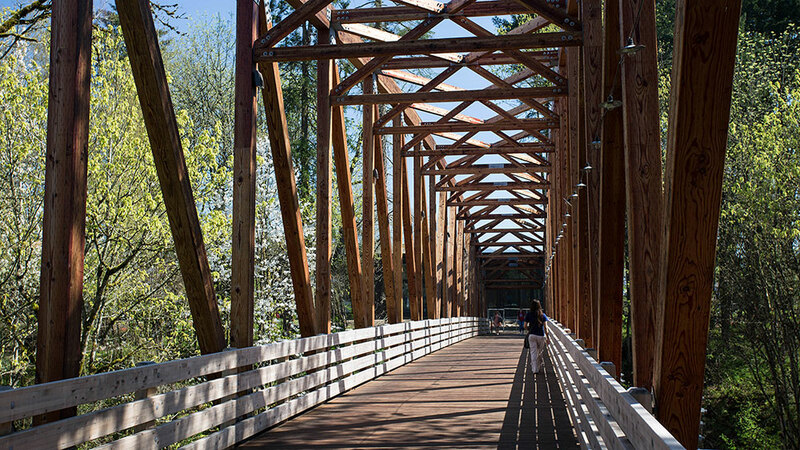 Completed in August of 2015, a 220-foot bridge spans Hess Creek Canyon to better connect the new buildings on the east side of campus to the west.